Falling down is part of life, getting back up is living. It’s a philosophical quote you’ll find all over the internet and if I knew its true author I reckon he or she would have been an ultra runner. On Saturday I indeed fell many times and as I write this I can’t help but wonder whether I failed to get up that final time. My sister Juliet cunningly found the perfect park around 800m from the start line as the rain began to fall again. It was 5.20am and surprisingly my only concern at that time was how my 12 hour old, EXPO purchased, Hoka One One Stinson ATR’s would perform. A Morton’s Neuroma demanded desperate measures and I felt confident these plush puppies would carry me all the way to Kawerau on my intended 102 km journey. “What’s wrong?” Juliet asked just 300m from the start line. “They feel a bit odd” I said and with that she turned and ran back to the car to fetch my familiar and well worn backup shoes intended for later on in the race. Let me be clear, I have yet to fully test the Stinson’s and in no way am I rubbishing them for all you Hoka fans out there. They are big though eh! This year, while milling around at the start line, confidence replaced the awkwardness I felt one year earlier. Perhaps it was my new head lamp and Ultimate Direction backpack intended to carry the now compulsory zip sealed raincoat I’d also bought a few hours earlier. 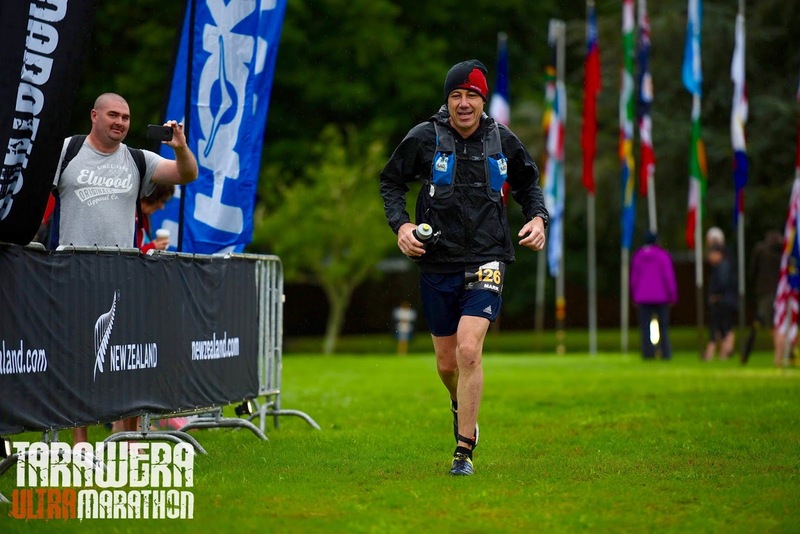 Ultra runners can’t have enough equipment. If we could hook up a trailer … well who knows. At not even 30 minutes into the race I couldn’t take it anymore and began the delicate process of removing a suffocating raincoat while running in the dark and one handed too because of course I had one of those hand held drink bottle thingies. Incredibly, I achieved this Houdini like manoeuvre without ever walking. Gosh I’m good, I thought to myself now running freely. I can’t help thinking that the older we get the better we are at running uphill. Unfortunately, the same doesn’t seem to apply at running downhill. Compounding things, the level of difficulty seems to multiple exponentially when rain and mud are thrown into the mix. I think it might be a reflex thing the youth seem to bloody take for granted. Short sightedness in the dark is common. 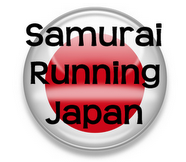 It’s understandable then to miss seeing the odd rock or root that may protrude in front of a runner. No wonder then that out of the blue something tripped me up intentionally and without warning. This was no mild inconvenient fall on my arse incident either. This was a full head first extravaganza and while running my first significant downhill too! Can’t picture it? Well the impact points were left elbow and left knee simultaneously. Surprisingly I felt absolutely nothing. A sensation I longed for later on in the day. Lake Okataina marks 39k. Worryingly my legs felt weak which I hadn’t expected yet. I knew it was the sludgy underfoot conditions and I cursed myself for canning most long training runs when it rained. “Shouldn’t you pack extra socks?” my sister yelled a day earlier. “Nah” I replied like any respectable road runner would say. Being the smart one in the family she ignored me and packed three extra pair. Heading out again with a fresh pair on made the trek to the next aid station all the more doable. 6 hours and 58 minutes was a time I was wrapped at the 60k finish one year ago. Collapsed in a deck chair with a cup of coke in each hand I looked at the race clock in front of me as it continued to tick away … 8 hours and 51 minutes. 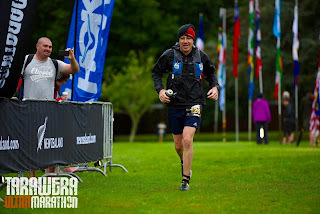 It had certainly been tough going out there and oh how I longed to finish again at the shorter distance. 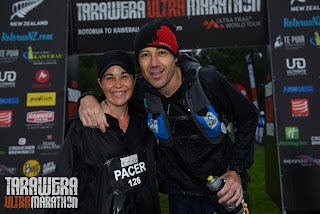 Up ahead though at the finish in Kawerau were my parents and waiting 5k from the finish was my coach and pacer, Juliet. I couldn’t let them down. With another fresh pair of socks on I stood up and began to shuffle away before breaking out into a jog then unleashing the shackles for what I consider a more extravagant run … but wait. What on earth was that? The stinging and burning sensation that radiated from the underside of my scrotum was a sensation I’d never experienced. On the bright side I completely forgot how tired I was as I contemplated asking for help while at the same time pulling down at my shorts to relieve the irritation. If I could just run free I thought. With that genius idea I ran off the track deep into the bush, removed my drenched running shorts and then my equally saturated and cold cotton boxers which provided all the essential support. These went straight into my backpack and off I went. On a hot day this wouldn’t have worked at all. Being cold, a man’s scrotum need not be supported. A fact we men are well aware of. Gosh that’s funny I thought to myself and something I’d never put in a post. What now! Another visit deep into the undergrowth off the trail revealed something that really scared me. I’d heard about Coca-Cola coloured urine before at pre-race talks but to see it firsthand. The burning and cramping I felt from my abdomen thereafter also meant something wasn’t quite right. Should I turn back to the 60k finish point and retire or walk on to the next aid station and reassess things there? I walked on. Short of the 70k mark my now best friend Leonie stopped to ask why I was walking. I blurted out all my symptoms like a patient would with their Doctor hoping she’d give me a diagnoses then a pill and I’d be on my way. Up ahead in the distance I saw a Ute coming up the trail toward me. With window now wound down the driver mercifully asked if I was Mark Watson. I knew instantly Leonie had sort help for me. What a champion. After an assessment and a call back to HQ they agreed not to pull me provided I turn left at the end of the next aid station. Left meant I was now an 85k race entrant. The 100k would have to wait for another year. I walked on all the while drinking heavily as the rain continued to fall. Meeting up with Juliet (my pacer) was the best feeling. We chatted, ran, chatted and ran. It was like being kids again and I had so much fun being with her those last 5k. A high five for Dad and a kiss on the cheek for Mum just before the finish line some 13 hours and 7 minutes from the start was another moment in time I’ll cherish always. I’d literally fallen a dozen times throughout the day and rose perhaps 11. I certainly felt alive and yet a little defeated. 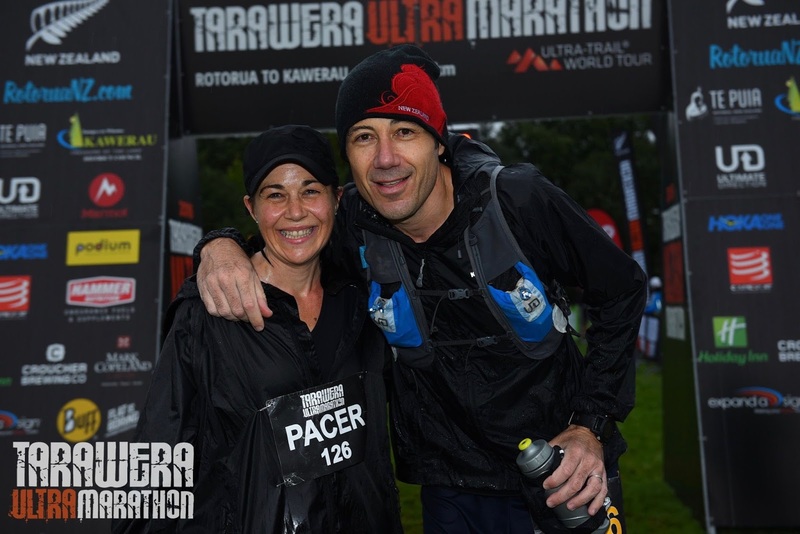 The Tarawera Ultra Marathon is one great event. I’ll return for sure. Stronger, wiser and of course extremely well lubricated. Footnote: I’ve been tested for Rhabdomyolysis. Results shortly. Perhaps the topic of my next post. Firstly, congratulations!! What an effort, what a run, truly amazing. It takes guts just to simply sign up for a run of that length, then you actually got out of bed, turned up and ran it! 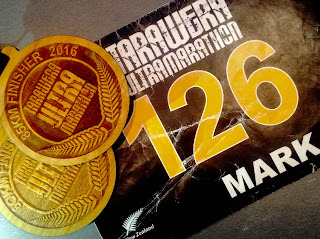 It was as humid as hell in the Waikato and I thought of several people I knew running the Tarawera on the weekend. I was sending good thoughts to all out there! 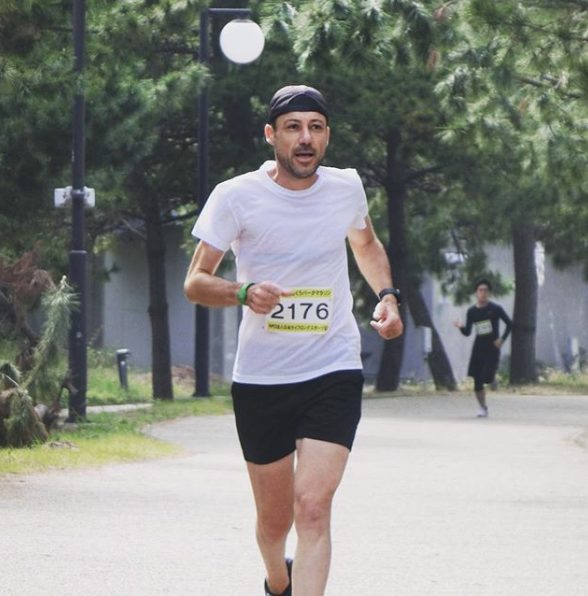 To run 85kms is an amazing effort, sure it wasn't your intended 100km race, but that is for another time and it's great to hear you will be back to take another crack it up. Rest easy, my goodness you deserve it! And well done again!! Ah, the perils of typing late at night. My second last paragraph was meant to say "have another crack at it". And hoping the tests come back positive for good health! Hi Jen. What a fantastic and funny comment! I reckon you need to start a blog of your own. Sorry it’s taken so long to reply. I’ve been in the middle of moving, sulking and well ... recovery too. You'll be happy to know that my urine has returned to its 'normal' colour and frequency and my, you know, doesn’t sting when in contact with clothing. Rhabdo but fortunately no kidney damage. I’m all better physically. Mentally I’m kind of disappointed. Looking back at it I just wasn’t good enough. I’ll need to train a whole lot smarter and harder before I give the damn thing another go. Come to think of it, you’d be a perfect starter next year. It’s still a whole year away! Will I see you at the start line? Wow! I looked up your result and thought you may have run 2 laps Mark. Sorry mate. Your recollection of events bought tears to my eyes. Almost too much Seinfeld information there - Kramer's 'boys running free' and George's 'shrinkage' problem. Sounds like you're keen for another crack and I wish you all the best. Perhaps they'll have a category for pushing all your supplies in a wheelbarrow or stroller? Anyway, happy recovering. BTW, I've had the bloody urine thing twice and it was just down to dehydration. Brought tears to YOUR eyes! Brought tears to YOUR eyes!! And who can forget Jean-Paul the Marathon Runner eh ... the snooze button, AM/PM or volume? Brilliant. I reckon you're right dehydration played a part for sure. Thanks mate.